If I told you that the photograph above was of a furniture showroom, you probably wouldn’t believe me; after all, it doesn’t look like your typical showroom – but the owners aren’t your usual furniture company, so it works out well! You all know by now that I love, love LOVE championing independent businesses and anything made in Britain here on the blog, so for the next installment of A Week of Spring, we’re going behind the scenes with artisan furniture makers Sofa Bed Sofa – who are currently offering all customers the opportunity to spend the night in their incredible country barn. Sign me up! Founded by Steve Parsons, the company came to life after he spent a particularly uncomfortable night on a friends sofa bed, and now produces what are almost certainly the most comfortable sofas and sofa beds in the UK. 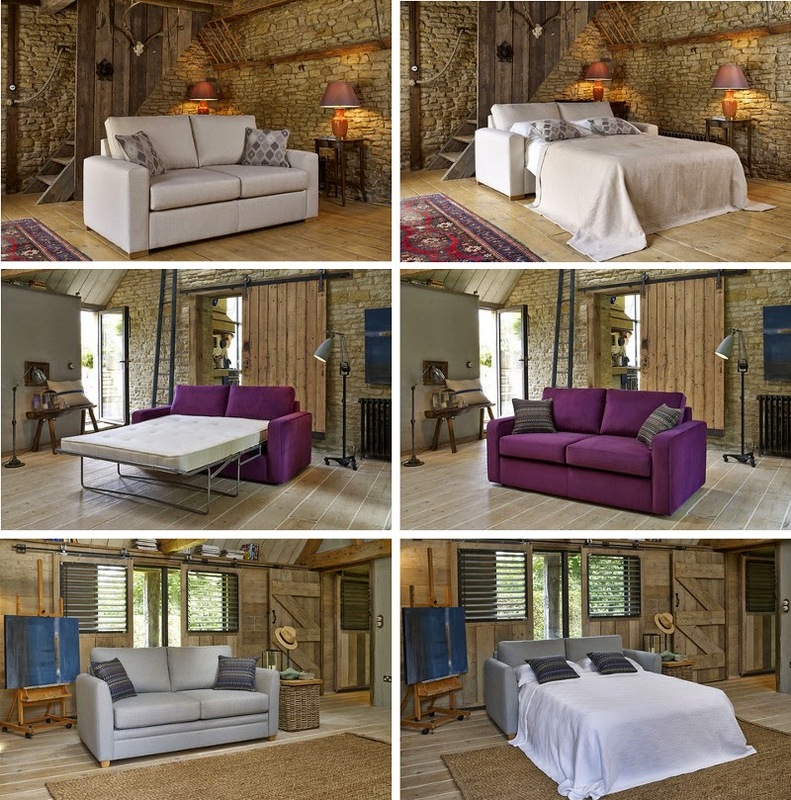 There are a whopping ten models to choose from, which vary in size and style, and come in a range of colours and finishes – each sofa is completely bespoke for the customer, who can pick and choose everything from the fabric and the mattress right down to the feet colour. The one thing I noticed immediately about the range was the beautiful simplicity; I love the clean lines, solid shapes and wooden feet. Perfect! 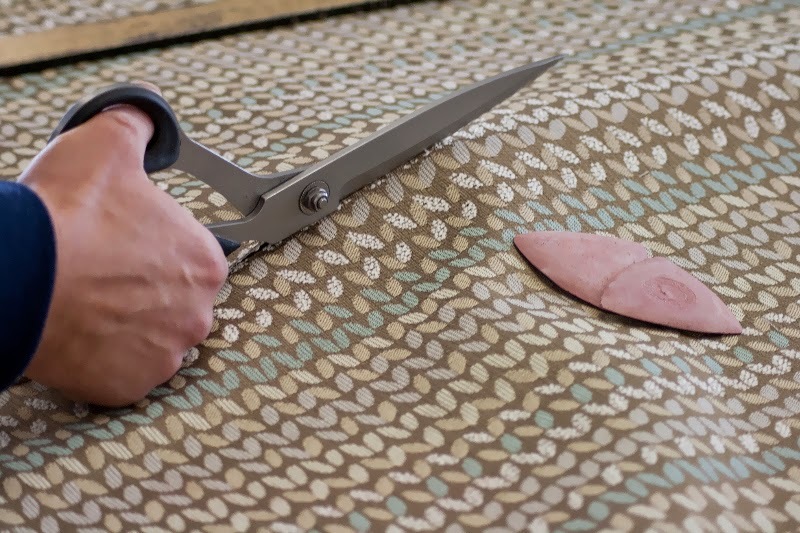 Based in rural Wiltshire, the sofas, armchairs and sofa beds are designed by the creative team, who spend time flying all over the world to gather inspiration, and are then brought to life by a group of local craftsmen. As well as making sure each model ‘sits like a sofa and sleeps like a bed’, the company work hard to keep their environmental impact to a minimum (love! ); fabrics and materials are all sourced from within the UK whenever possible, and the wooden frames are made from kiln dried wood taken from a sustainable supply. I was lucky enough to grab some time with Steve, so I could grill him about Sofa Bed Sofa and the design processes. What made you start a company that designs and manufactures sofas and sofa beds? A few years ago, following a disasterous nights sleep on a friends sofa bed, I decided that there had to be a better design out there – but when I looked into it, the range and quality of sofa beds on the market was very poor. I have over thirty years experience in the furniture business, so I researched and designed a range of sofas, sofa beds and chairs using top quality fabric, mattresses and the best folding bed mechanism on the market. I love that everything you design is produced in the UK – why are you so keen to champion products made in Britain? My interest in using British manufacturers stems from my previous experience in dealing with companies that are based abroad. Delays, costs and unreliable quality are inevitably passed onto the customer – when there are so many skilled craftsmen in the UK, this seems a natural solution. What sets you apart from other furniture designers and manufacturers? What sets me apart? Not always a virtue – I’m fanatical about detail with a genuine passion for quality and design, I closely oversee our processes – probably not making myself very popular with the workforce! 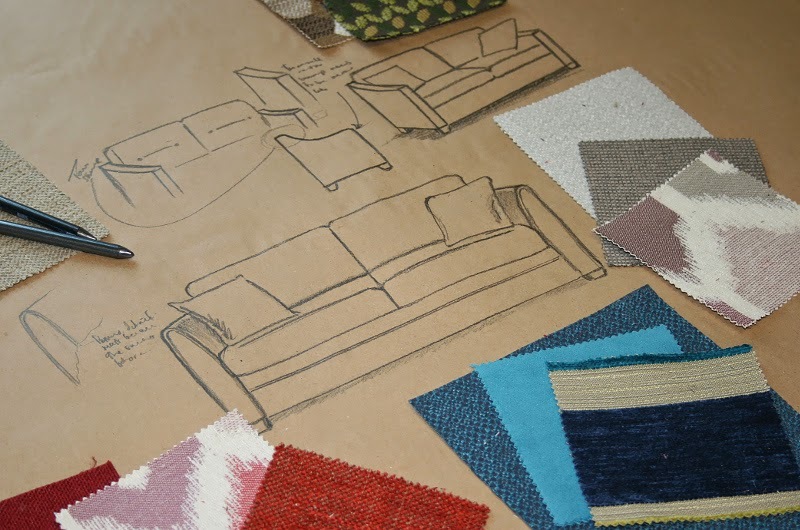 Have you got a favourite part of the design process? Definitely being hands on with choosing fabrics, visiting shows and mills to source the best quality and designs at the best prices. Finally, which is your favourite sofa, sofa bed or chair and why? If I had to choose, I’d say our Flair design – it’s hard to put my finger on it, but something about Flair just seems to have got it right. 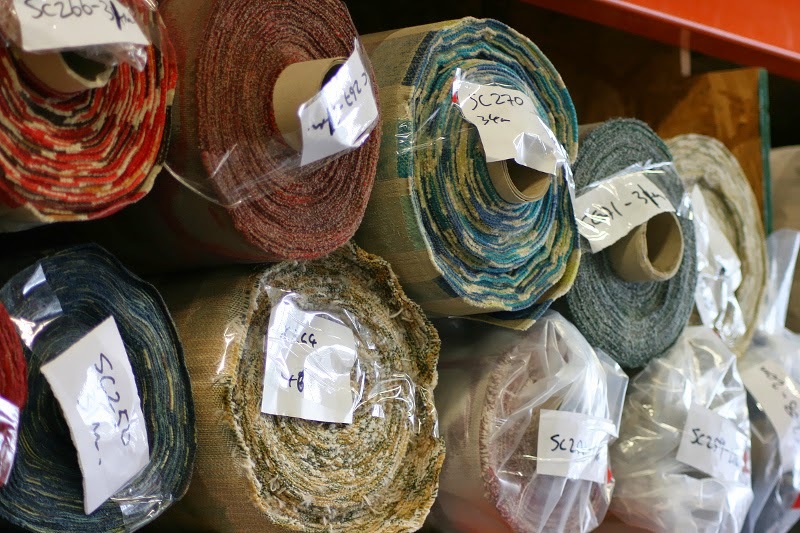 As well as using the best fabrics, being environmentally conscious and manufacturing ethically here in the UK (these people are practically Saints! 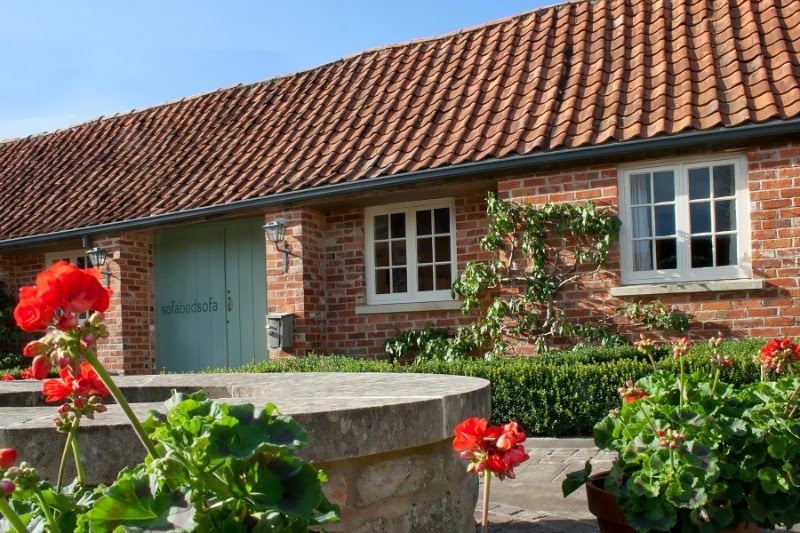 ), starting from the beginning of April, Sofa Bed Sofa are inviting customers, bloggers and members of the press to road test their sofa beds by spending the night in their gorgeous Wiltshire barn showroom. Every guest will be treated to complimentary refreshments, breathtaking rural views and a fabulous nights sleep – what better way to welcome the spring than with sweeping landscapes and fresh country air? To celebrate the discovery of a company that champions British manufacturing, I’ve made a fun ‘Best of British’ board over on Pinterest; expect beach huts galore, lashings of scones and cream, plenty of tea and some beautiful countryside. Tally ho! Follow Victoria Haynes: The Owl and the Accordion’s board Best of British on Pinterest. To find out more, to see the full range of products, or to book a night in the barn, head to the Sofa Bed Sofa website, or simply get in touch with the team on 01380 828 666. Many thanks to Steve for taking the time to answer my nosy questions. All images remain the property of Sofa Bed Sofa, and may not be reproduced without prior permission. Such beautiful textiles – and I agree, they sound saintly! This is exactly the kind of business worth supporting. As soon as you help to make your decision, you must then invest in sheets for ones sofa sleep, pullout lounger, pullout sofa or maybe futon. Needless to say, many people are clueless in terms of the proper bedding essential for his or her guests sleep. After you obtained your pullout sofa or maybe sleeper lounger, you should have realized that the actual beds are generally a lot leaner than the usual regular bed mattress. Very interesting to read and helpful and educating in your website.God bless you. There's a monstrous five designs to pick from, which usually fluctuate in proportions and also type, and also can be found in a selection of shades and also coatings : each and every settee is very custom for your consumer, who is able to choose sets from the particular cloth as well as the bed because of the feet coloring. The single thing My partner and i seen right away in regards to the array has been the particular gorgeous ease; I enjoy the particular clear traces, sound styles and also solid wood toes. Best! This is looking interesting. With some best recliners it made a bed. When you sit here you feel very comfortable. You can place it also in your drawing room.